Welcome to The Front Line, a regular feature championing the best in industry customer service. The Moodie Davitt Report is delighted to recognise the exceptional employees who are ultimately responsible for bringing all facets of the airport retail experience to life. Each issue The Moodie Davitt e-Zine scours the world to introduce the real heroes of our industry – those who go the extra mile every day when serving the travelling public. 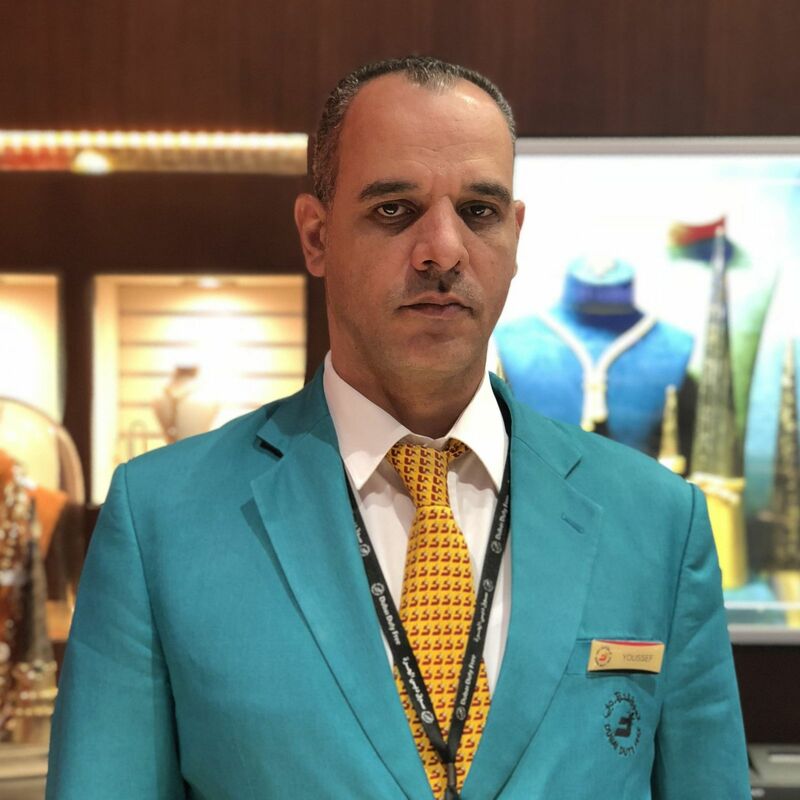 Success is no accident for Dubai Duty Free’s Ahmed Youssef Mahmoud, who has been a specialist in gold for four years and continues to develop his expertise. Employer’s comments: Youssef started his career at Dubai Duty Free in February 2008. He served as a beauty advisor of Fendi from June 2013 to August 2015 and transferred as dedicated staff of Philip Morris from September 2015 to February 2016. He has been a sales assistant since then. Youssef is currently on the retail staff in gold. He has been a specialist in gold for four years and continues to develop his expertise. He is always willing to share his knowledge with his colleagues, coaching from what he has learned from training and seminars he has attended. Youssef constantly plays the team leader role in all activities because of his great comradeship. He has received several customer recommendations for his outstanding customer service. Youssef prioritises his customer’s satisfaction every time they visit the shop. He was nominated as the ‘Employee of the Month’ for April 2013 and December 2016, and receives ‘Gotcha’ stars each year.